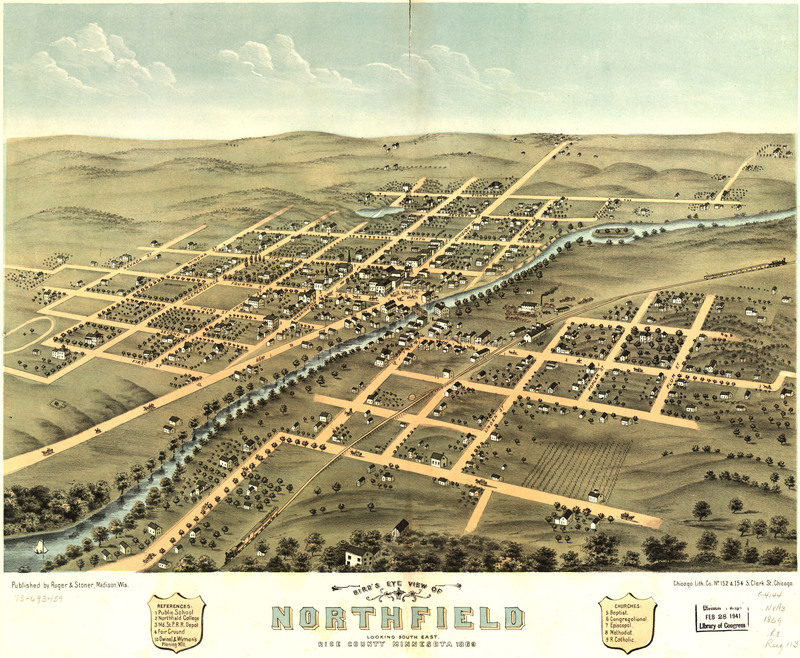 A. Ruger's Birdseye map of Northfield, Minnesota in 1869. 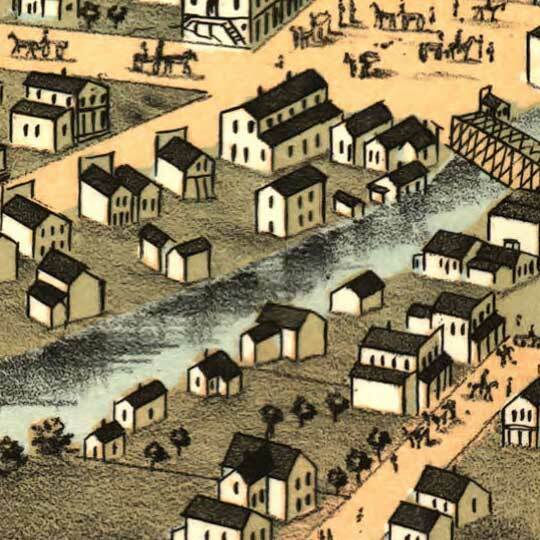 Seven years after Ruger sketched the sleepy town of Northfield, Minnesota [gmap] to produce the map you see above, Jesse James and his gang rode into town and famously robbed the First National Bank. The job was kind of botched, and a lot of people got hurt, and in a way it could be said to have been the beginning of the end for Jesse James. Northfield embraces this part of their history by having an annual celebration they call "the Defeat of Jesse James Days", as well they should. A less prideful city would've named it something more marketable, but probably also more sniviling.